Rome Floods Pictures: 13th December 2008. These Rome floods pictures were taken on the 13th December 2008 at the Tevere River. Click the images for a full size photo. A fatally damaged house boat. Castel Sant' Angelo is in the background. 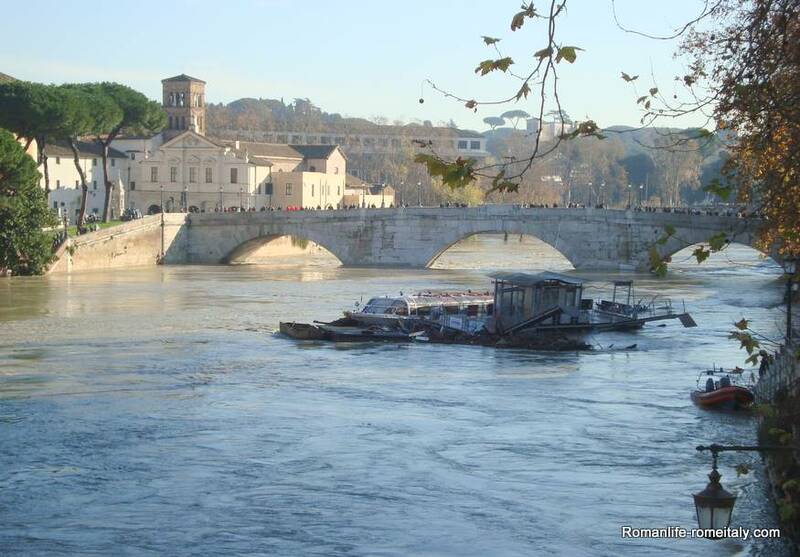 Looking upstream at Ponte Sant' Angelo. 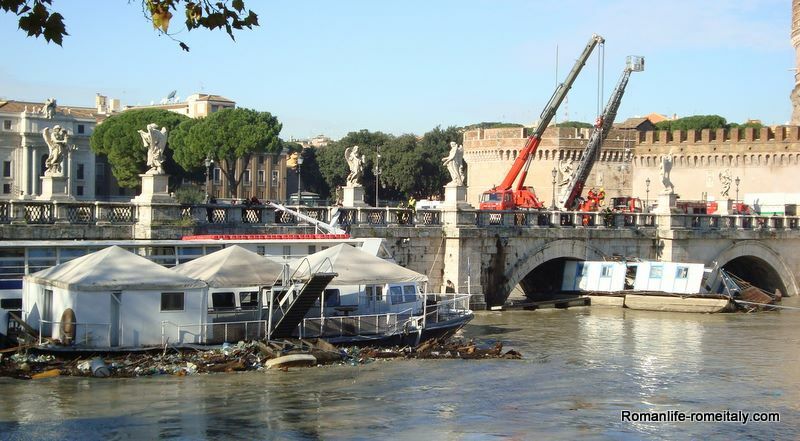 the fire services are dismantling the stranded boats at Ponte Sant' Angelo. Looking downstream at the Ponte Sant' Angelo from the Ponte Umberto.. 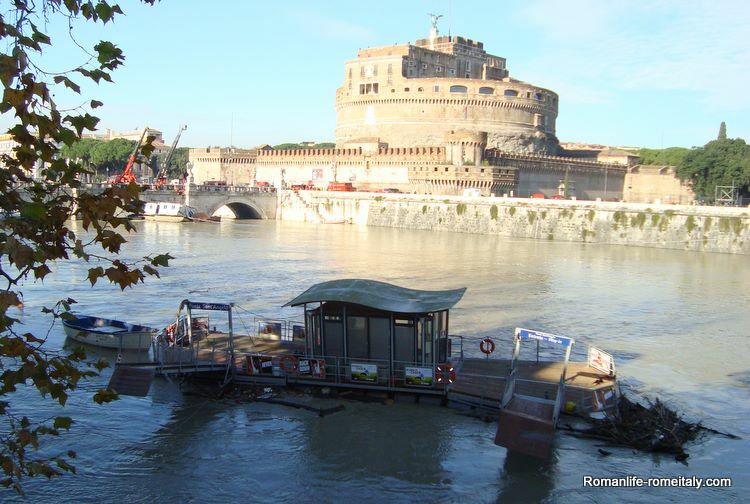 The Isola Tiberina, which has a hospital and a church, (Tiber island) is inundated with water. 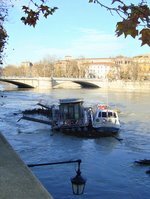 The island sits between the areas of Trastevere and Campo d� Fiori. 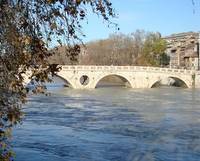 Looking upstream at the Ponte Sisto when the TIber River is at its normal levels. 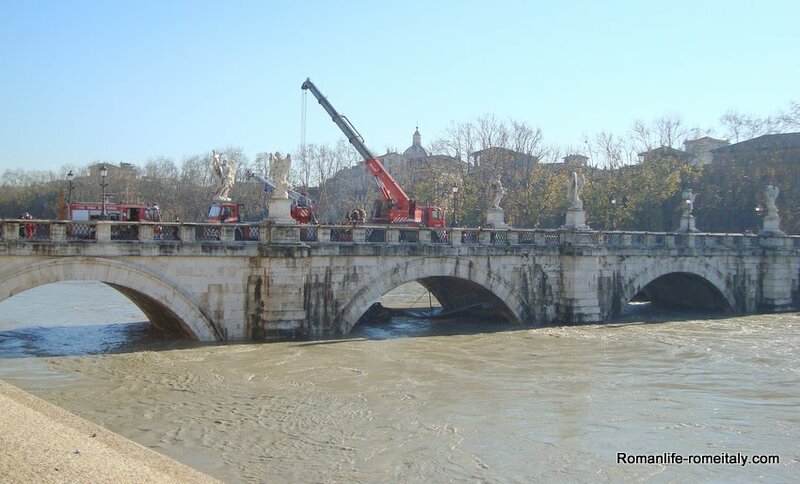 Looking upstream at Ponte Sisto after the Rome floods. It's difficult to appreciate the height, but bear in mind that those little figures on top of the bridge are people. 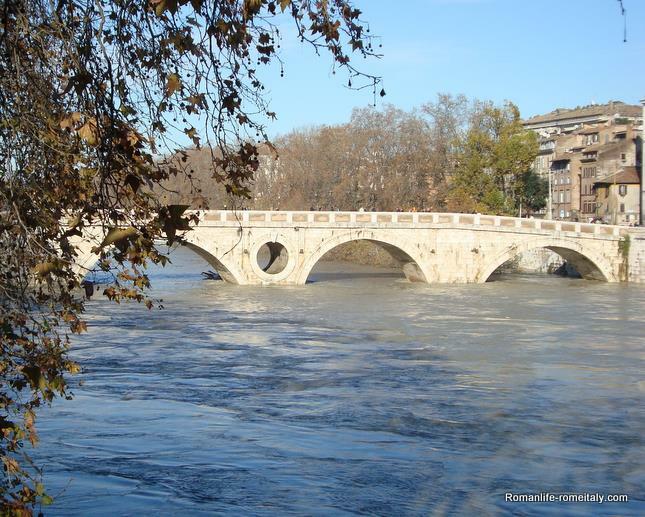 Looking downstream during the Rome flooding at Ponte Cestio which connects Tiber Island (Isola Tiberina) with Trastevere. 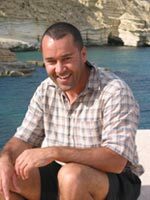 Return to the article about the Rome Floods. 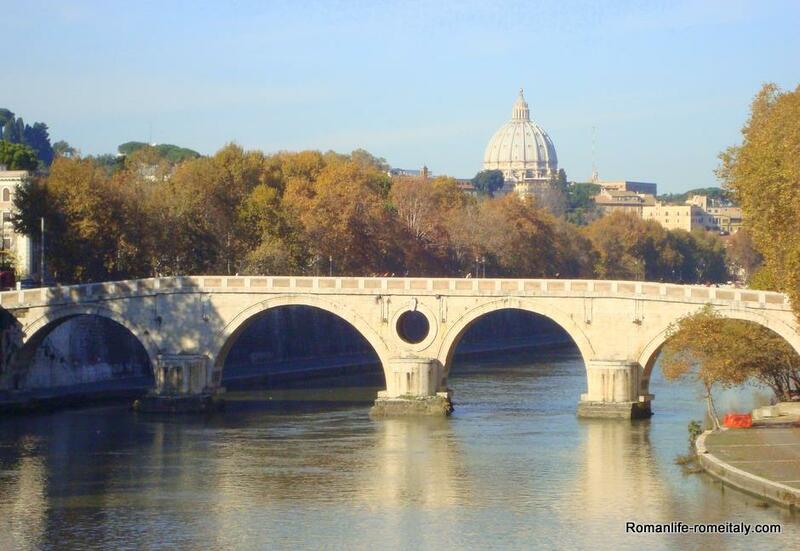 However, if you're now concerned about the weather for your Rome holiday then view information about the Climate in Rome Italy. 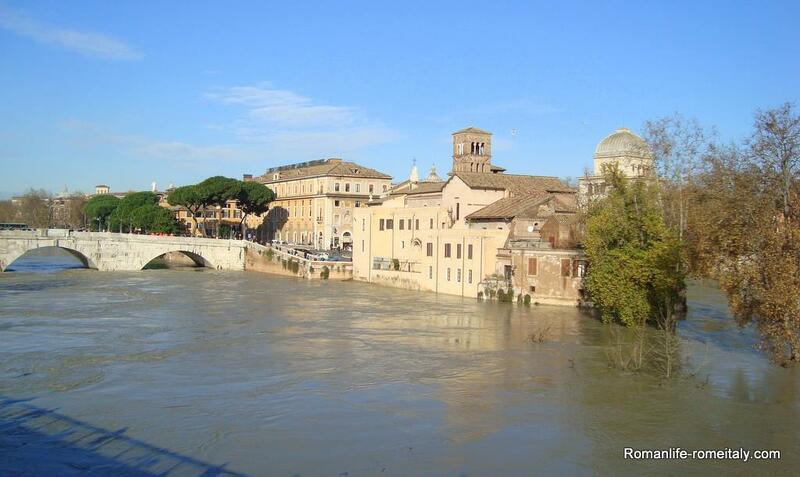 Like my Rome floods pictures? Show your appreciation and bookmark the page (under the left menu).